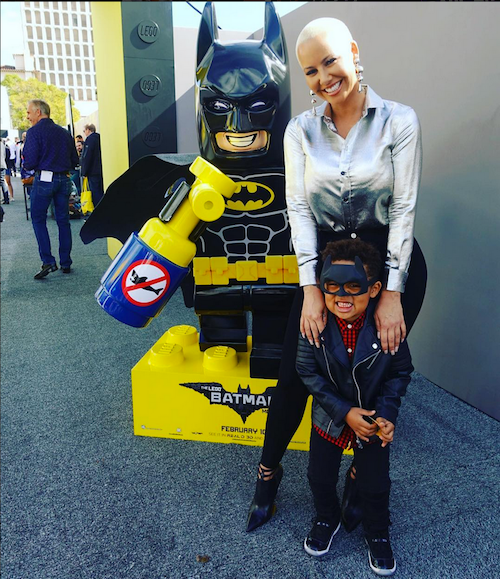 HUGE Scare For Amber Rose – Guy Broke Into House While She & Sebastian Were Sleeping! Amber Rose, her baby Sebastian, her mom and a few staff members were fast asleep in her San Fernando Valley home the night before last when a man broke in. The guy stayed in her house for 4 hours! Sources close to Amber tell us ... the guy entered her San Fernando Valley home early Wednesday morning by breaking a kitchen window and going through the pantry. We're told Amber, her mom, son, assistant and bodyguards were all sleeping elsewhere in the pad. Our Amber sources tell us her assistant even got up to make food while the perp was chilling somewhere in the house. We're told Amber saw the broken window in the afternoon, checked her surveillance footage ... and saw the dude break into her crib. She also saw footage of him fleeing. Crazy enough, he didn't steal anything. Amber called the cops and police are currently on the scene of her home now. We're glad everyone is ok.